This article is about the recruitable character. For the summon stone, see Shiva (Summon). 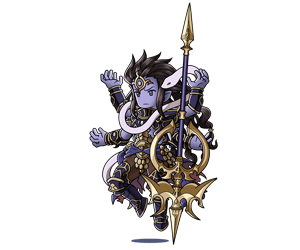 For the raid battle, see Shiva (Raid). [Unchanging Protector and Punisher]This title is an unofficial, amateur translation. A fierce war god and arbiter of salvation watches over mortal affairs, manifesting before the stronghearted. He prays thus: "May the children of man who weave this world return to the proper path." Awaken Inner Eye Massive Fire damage to a foe. Mahakala Massive Fire damage to a foe. Strength: 190% C.A. DMG Up, 90% C.A. DMG Cap Up. ⇧ Lvl 55This skill is enhanced at level 55. 800% Fire damage to a foe (Damage cap: ~1,160,000). Charge bar fills up 35% slower. 15% boostSeraphic multiplier to one-foe attack damage. level rises by 1 upon using charge attack (Max: 5). Extended Mastery Support Skill EMP Lessen Wind damage. Requires completing Side Story: What Makes the Sky Blue - Ending to unlock his first Fate Episode. Duration: Indefinite stacks additively with other sources of C.A. DMG Up and C.A. DMG Cap Up. On the next turn, it'll have 1 turns remaining. also increases Normal Attack Damage cap to ~1,330,000Including Dance of Nataraja. and Charge Attack damage cap by ~500,000. Increase one-foe attack damage by 15%, stacking additively with the Seraphic Weapons boost. 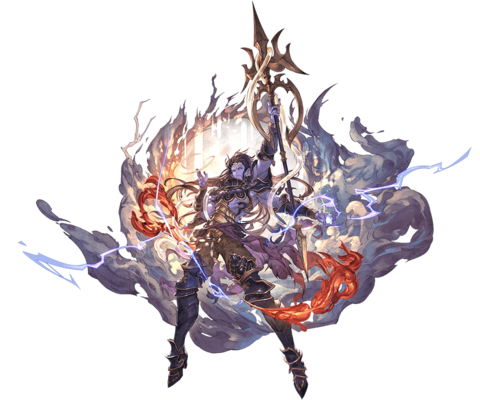 Like the Seraphic boost, it is applied to the final damage, effectively increasing one-foe attack Damage cap by 15%. 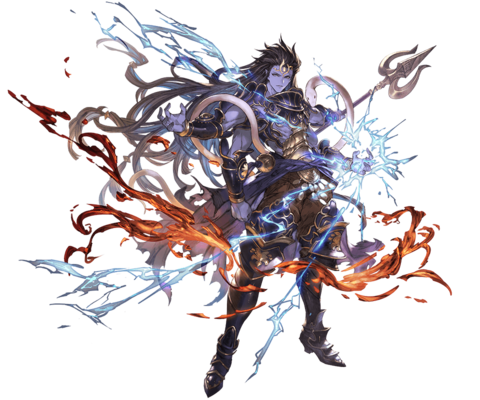 Unlike the Seraphic boost, it is not necessary to have Elemental Advantage. This page was last modified on 1 April 2019, at 04:02.